FC Barcelona Lassa made 17 three-pointers en route to an 86–82 victory over Khimki at the Palau Blaugrana in the final Euroleague game of the season. 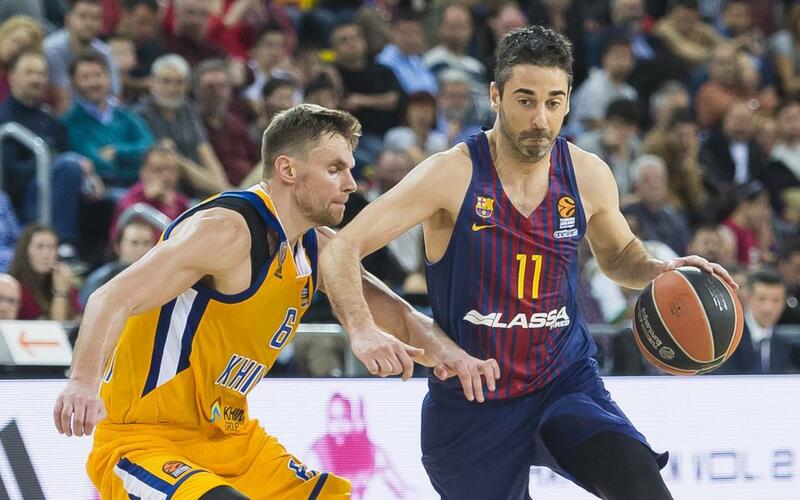 Shooting guard Juan Carlos Navarro scored 17 points to lead Barça Lassa, whose lights out shooting from beyond the arc equalled the second most ever for a Barça team in European competition. Four other Barça players scored in double digits. Thomas Heurtel added 14 points, while Pau Ribas and Petteri Koponen scored 12 each, and Adrien Moerman added 11. Heurtel and center Ante Tomic each had 5 assists to lead Barça. Sasha Vezenkov grabbed 5 rebounds. Barça got off to a hot start and led 31–18 at the end of the first quarter. But although Khimki would outscore Barça the rest of the way, the Catalans kept draining threes to keep the Russians at arm’s length. Khimki drew to within 9 points at the half, at 54–45, and were able to cut it to 6 at the end of the third, 72–66. But Barça recovered and found that same magic they had in the opening frame, and with just four minutes to play, the lead had grown to 14, at 84–70. Khimki made a late 12–2 run, but it was too little, too late. Barça’s next game comes in the Spanish League, this Sunday at Gran Canaria. Tip-off is at 6.30pm CET.